"NAP™ KS 60 stackable armchair"
NAP™ KS 60 is a new stackable chair designed by the award winning Danish designer Kasper Salto. 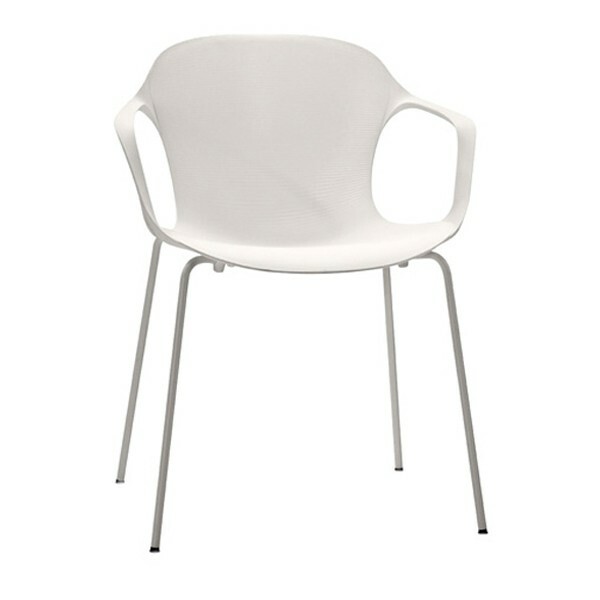 The chair has a high gloss back, and the front of the shell is matte with ripples to emphasize the geometry of the chair. The chair is also available with seat upholstery – assembled when delivered or purchased separately. Material: The base is produced in 14 mm powder coated steel, in the colours equivalent to the chairs shell, or in chromed steel. H 77 x B 62 x T 51 cm, seat height: 45 cm. Related links to "NAP™ KS 60 stackable armchair"
Customer evaluation for "NAP™ KS 60 stackable armchair"